Discussions and book signings with Philippe Paraskevas (The Egyptian Alternative) and Bachir Bserani (Arabian Horse Names). Sale of rare Karen Kasper prints to support Institute projects. Information on the Institute’s projects. 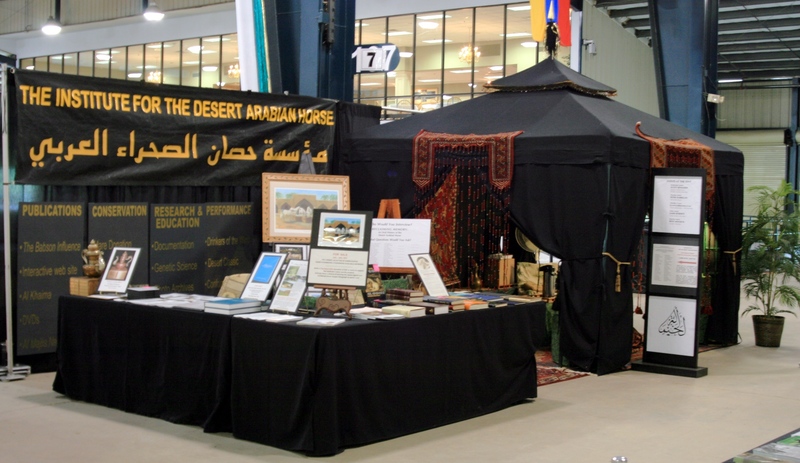 The famous Black Tent has been the central rendezvous place for many attendees.